You probably know the Flying Pig, one of Cincinnati's most iconic events, is on its way, but did you know about PigAbilities? 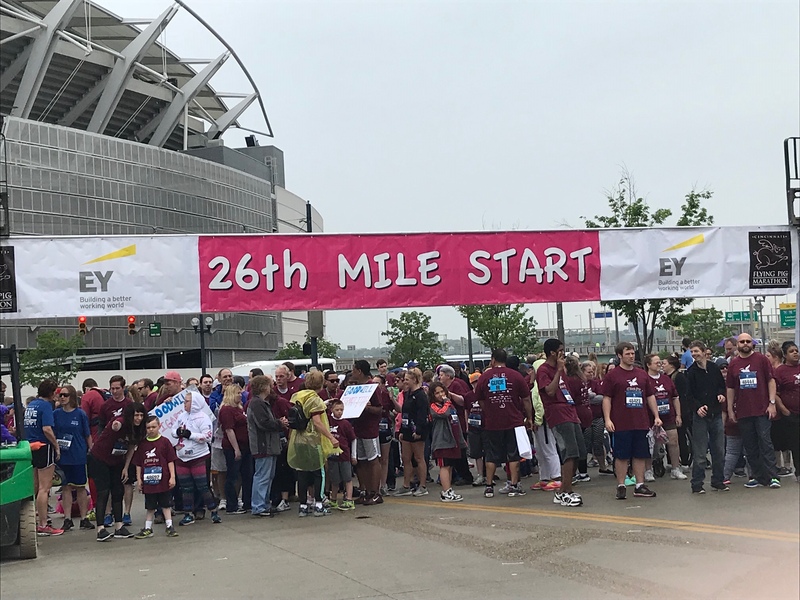 It's a special event for people with disabilities and their families, ensuring everyone can participate in Cincinnati's favorite athletic event. CINCINNATI — Tim Ruge will never forget his first PigAbilities. "I saw this incredible event where, you know, people of all ages with disabilities were getting involved with the Flying Pig," said Ruge. The experience also left a lasting impression Ruge's younger sister Mia, who walked PigAbilities' one-mile course with her brother. "My sister, we actually adopted her from China, she has Down syndrome and she struggles with a lot but she literally talks about PigAbilities all year long," Ruge said. 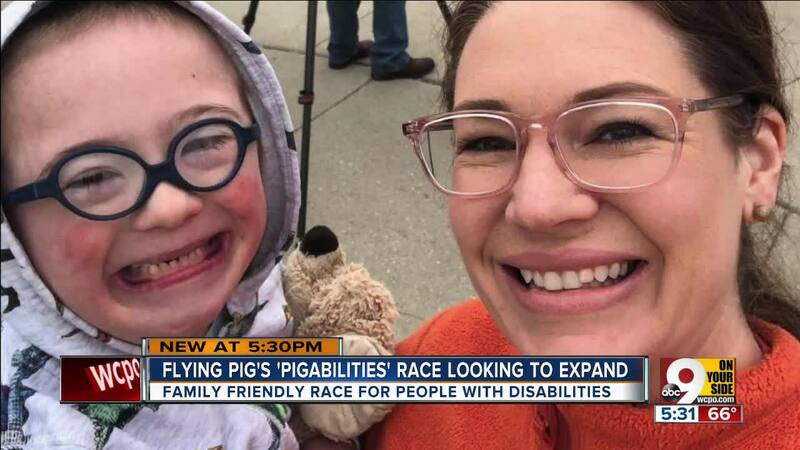 That was in 2015, two years after the Flying Pig introduced PigAbilities as "an option for people of all ages with disabilities, their families and friends who may not wish to participate in a competitive event, but still want to be part of Flying Pig Marathon weekend," according to the marathon's website. PigAbilities takes place on the Saturday before the half-and-full Flying Pig marathons. Those races have taken place on the first Sunday in May since the Flying Pig began in 1999. This year's PigAbilities starts at 1 p.m. on May 4 near the east plaza of Paul Brown Stadium on Freedom Way. Ruge said he made it his mission to improve PigAbilities after that first event -- not only for his sister but to let other potential participants, their families and supporters know about it. "My first year, we had about 80 people total involved and there were very few people who really knew about the event," he said. "So, there wasn't anybody cheering people as they walked through either. I got involved because I thought we could make it bigger and better." Ruge is now one of PigAbilities most enthusiastic organizers. He is also head of product marketing for Paycor, a Human Capital Management SaaS company. The company's founder, Bob Coughlin helped get the first Flying Pig Marathon off the ground in 1999. Ruge, in turn, has spent the past three years recruiting his Paycor co-workers to help him with his mission. "Last year we had probably 70-ish people from Paycor, who actually came and cheered on the participants," Ruge said. "Over the past three years, we've grown it to almost 400 people participating." His goal for this year's PigAbilities – grow it even more. "Our goal this year is to get a thousand people to participate in the event and to have someone cheering them on literally every step of the way, so these participants can have the most phenomenal experience possible," Ruge said. Ruge said more than 100 people at Paycor have already volunteered to support PigAbilities participants in some way this year. "We will have cheer stations throughout the entire event where people will walk through bubble machines and they'll high five some of our fans across the entire race and at the finish line there will be the biggest medals." Julie Bergantino said can't wait to see how much the event has grown as she walks it with her husband and their six-year-old son Jonah. "We went last year," Julie Bergantino said. 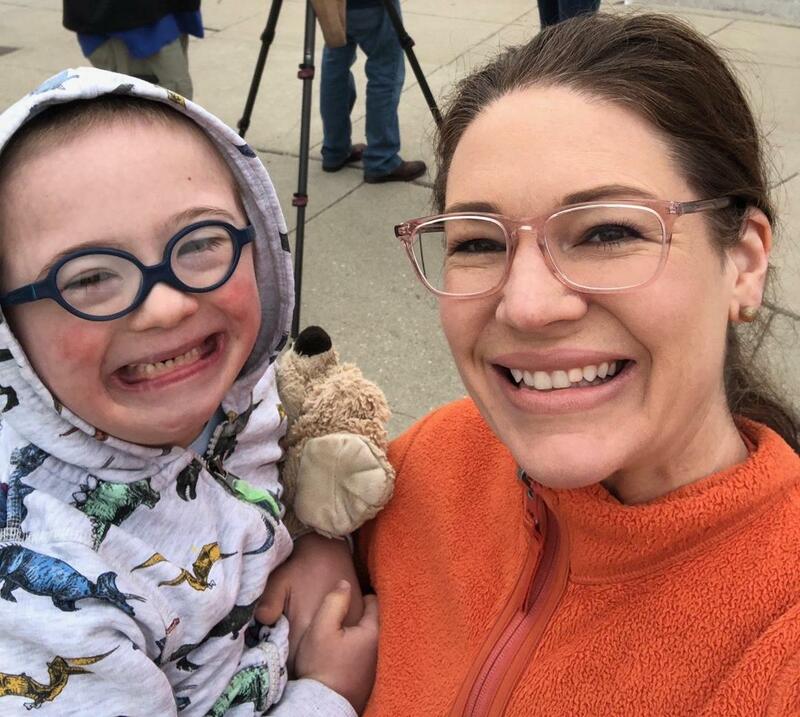 "This is such a remarkably inclusive community for people with disabilities and families with children with disabilities and this event really just exemplifies that . . .to see and just be surrounded on all sides with cheering crowds and support . . . It's just a very joyous, joyous activity." Ruge said he will be out there cheering his sister on the course again this year. "It's just a really special day because as she finishes at the finish line, people are cheering her on," he said. "She puts on the medal. She high-fives everybody. It's an incredibly special thing for me personally." Ruge added that the theme for this year's Flying Pig is "More Than A Marathon" and it quite possible that none of the other events taking place the weekend of May 3-4 embodies the spirit of that that more than the PigAbilities race. "If you're someone who wants to come out on Saturday and just see it and feel it and live it, I totally encourage you to come and see it," he said. And make sure to look for Jonah, who told his mom "no" when she asked if he planned to ride on his dad's shoulders during the event this year. "Maybe this year he'll walk himself," Julie Bergantino said. "Jonah's having a lot of fun no matter where he is," she said.